Masculine, rugged and refined — James Bond and Rolex go hand in hand. Besides being known for his epic crime fighting across the world, the iconic fictional character is just as famous for his classic style that transcends time, including the watches that he donned on his wrist. While in the books Bond sported Rolex Oyster Perpetual, on the silver screen, he went on to wear a few different Rolex’s. Here, we’re going to take a look at the iconic watches sported by 007 over the years. It’s 1962 and Sean Connery is plastered across movie screens introducing himself to the world as, “Bond, James Bond.” Everything about this new character is meticulously styled — from his suits to his cars to his choice in drink, and of course, his wristwatch. 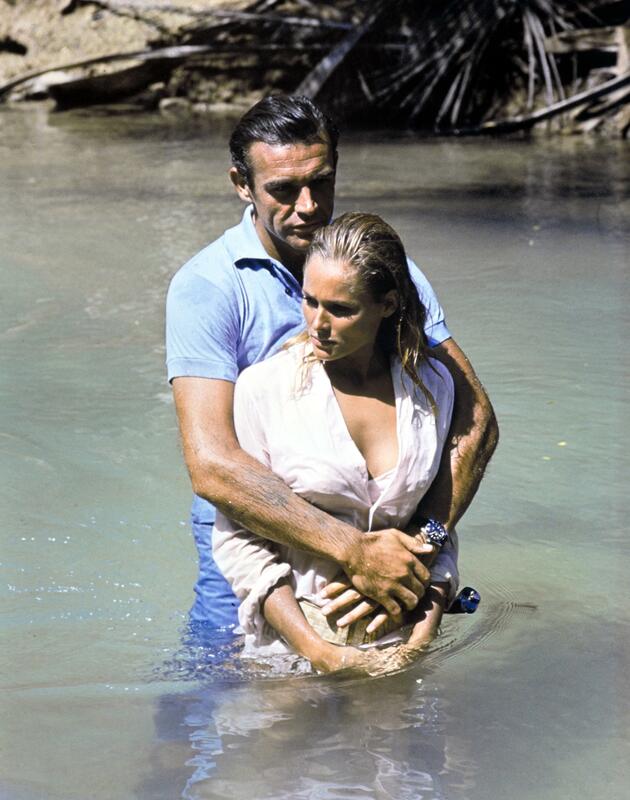 The Author of the bond series, Fleming, was a Rolex man himself, sporting a Rolex Oyster Perpetual Explorer, but in the movie he gave Bond a Rolex Submariner. This is a Rolex Submariner 6538. The same reference worn by Connery. Sporty, accurate, robust and beautiful — the masterpiece Rolex Submariner is a no-brainer choice for Bond as he heads into the casino for his harrowing mission. In fact, the Submariner followed Connery through all six of his Bond films — the water-resistance of up to 100 meters coming in handy throughout the years. The watch instantly became a hit and so intertwined with the identity of 007, that to this day we still call the 6538 the Bond Submariner. Now, let’s take a peek at the specs. The Submariner 6538 is known for the oversized crown and the lack of crown guards — differentiating itself from the rest of the submariner family. It also sports a black or brown dial with dot, baton and dagger markers alongside luminous Mercedes hands and sweep center seconds. This reference number also features an Oyster case with a screw down, water resistant up to 200 meters or 660 feet — making it extremely durable. 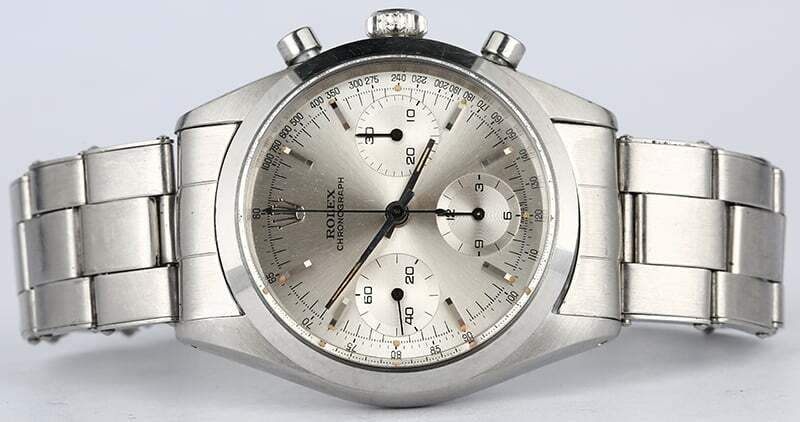 Here is a vintage Chronograph worn by another James Bond. George Lazenby only played Bond once in, On Her Majesty’s Secret Service. But, with his brief on-screen appearance as the famous spy, he did manage to make a mark with the Rolex Chronograph ref. 6238. This watch is the beginning of an era — not so much for Lazenby though, as it was for the Daytona. The Chronograph’s clean, contemporary design actually laid the groundwork for the Daytona we know and love today. 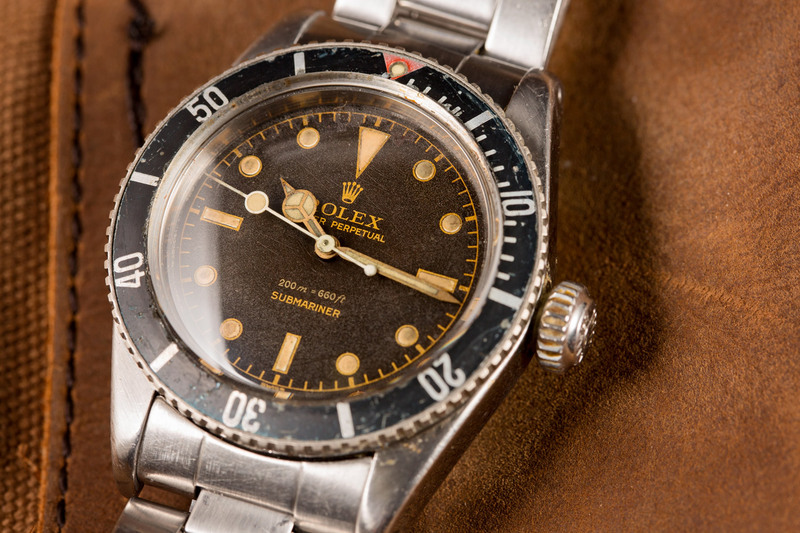 This watch came with either a black or silver dial, Rolex also eliminated the telemeter scale entirely from the reference 6238, giving the watch a more modern and less cluttered overall appearance. Today, the black dials are also exceptionally rare and sought after by collectors. Roger Moore is another James Bond that wore a Submariner 5512. When Roger Moore hit the screen as Bond in 1973, his character had stayed with the Submariner but moved on to the 5513. In reality, the 5513 had a non-chronometer caliber 1520 movement in housed in a 40mm stainless steel case that’s waterproof up to 200 meters, or 660 feet. In the movie though, the 5513 was outfitted with some serious upgrades including a circular saw to cut off handcuffs, of course. There was also a magnet built inside to deflect bullets, too. Today, the 5513 is one of the most popular watches for collectors for it’s classic design, clean face and fame associated with the Bond films. Other notable features of the Submariner 5513 are the rare pointed crown guards which, down the line, were replaced by rounded crown guards. Of all the famous ties Rolex has made over the years, having the ever-adventurous and stylish James Bond tied to the brand has enhanced its sophisticated status to this day. 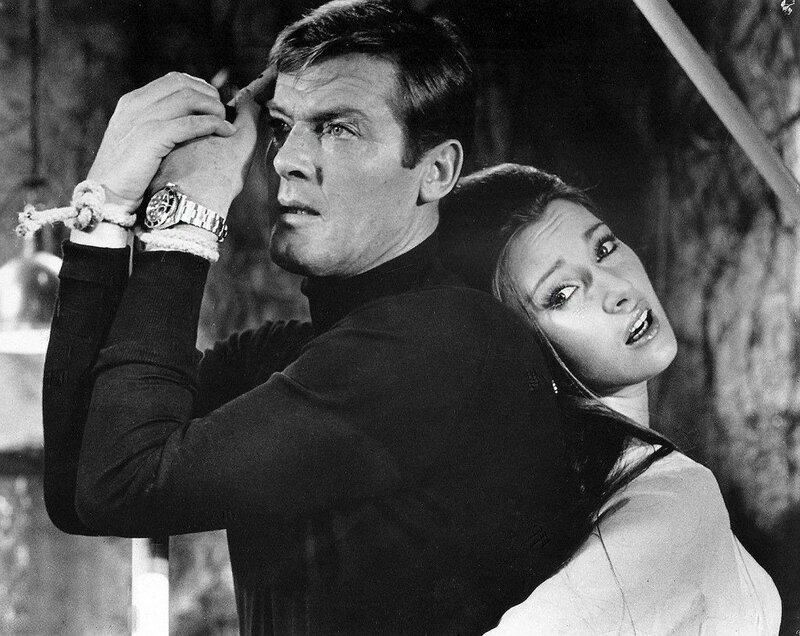 I mean, who hasn’t dreamed of owning a tricked-out Bond Submariner and saving the world?